This entry was posted in Green Party and tagged bradley manning, Green Party, Ursula Rozum on August 27, 2013 by Krzysztof Lesiak. Army colonel Judge Denise Lind sentenced Pvt. Bradley Manning to 35 years in prison, functionally equivalent to life in prison. In addition, the government, determined to make sure that no one could mistake its chilling message dishonorably discharged Manning, reduced his rank and confiscated all pay. This entry was posted in Green Party and tagged bradley manning, Green Party, Green Shadow Cabinet on August 25, 2013 by Krzysztof Lesiak. This entry was posted in Libertarian Party and tagged bradley manning, Darryl W. Perry. Libertarian Party on August 22, 2013 by Jill Pyeatt. 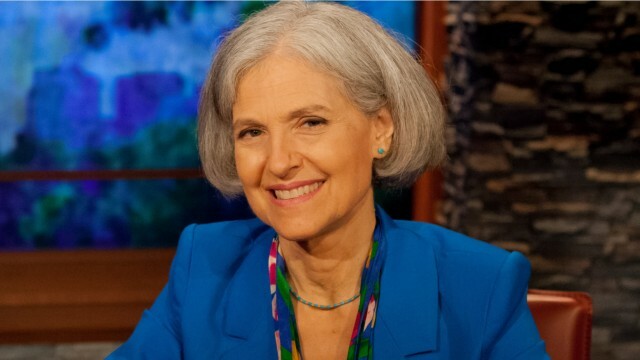 On August 5, 2013, Acronym TV’s Dennis Trainor interviewed Dr. Jill Stein, the 2012 presidential nominee of the Green Party. The topic of discussion was a presidential pardon for Bradley Manning, whose trial is currently nearing conclusion. This entry was posted in Green Party and tagged Acronym TV, bradley manning, Dennis Trainor, Jill Stein on August 8, 2013 by Krzysztof Lesiak. This entry was posted in Constitution Party and tagged bailout, bradley manning, Castle Report, Constitution Party, Darrell Castle, detroit, Whistleblower on August 4, 2013 by Krzysztof Lesiak. The verdict in the Bradley Manning trial has already begun to create reverberations as people start to understand its impact, beyond the impact on Manning. While the greatest threat to Manning, Aiding the Enemy, was defeated, another threat, The Espionage Act, was not. This entry was posted in Green Party and tagged bradley manning, Green Shadow Cabinet, Kevin Zeese on August 2, 2013 by Krzysztof Lesiak. Today the Green Shadow Cabinet calls on President Obama to pardon Bradley Manning for his courageous work exposing U.S. war crimes and State Department deception. Thanks to Manning’s revelations of Iraqi deaths and human rights abuses by the American military, Iraq refused to renew immunity for U.S. This entry was posted in Green Party and tagged bradley manning, Green Party, Green Shadow Cabinet, Jill Stein on August 2, 2013 by Krzysztof Lesiak. This entry was posted in Socialist/left parties and tagged bradley manning, Freedom Socialist, Freedom Socialist Party, gay parade, San Francisco Pride Parade, SF Pride Parade on June 30, 2013 by Krzysztof Lesiak. This entry was posted in Libertarian Party and tagged bradley manning, midwives, right to work, The Delaware Libertarian on June 19, 2013 by Krzysztof Lesiak. On June 1, demonstrations occurred across the country to mark the fourth year of Pfc. Bradley Manning’s imprisonment and the start of his trial for exposing war crimes perpetrated abroad by the U.S. This entry was posted in Socialist/left parties and tagged bradley manning, Party for Socialism and Liberation, PSL, Radhika Miller on June 18, 2013 by Krzysztof Lesiak. This entry was posted in Green Party and tagged bradley manning, Edward Snowden, Glenn Greenwald, Green Party, Julian Assange, Obama, surveillance on June 13, 2013 by Krzysztof Lesiak.